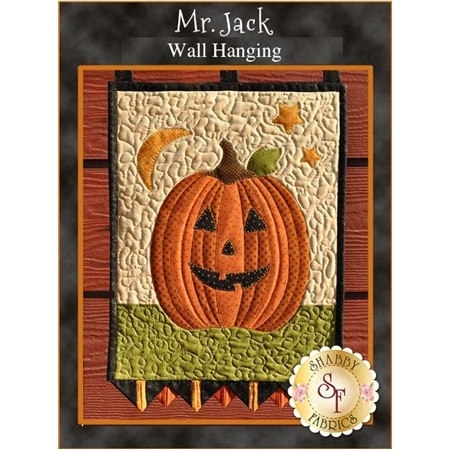 This Shabby Fabrics original design features Jack the happy jack-o-lantern. 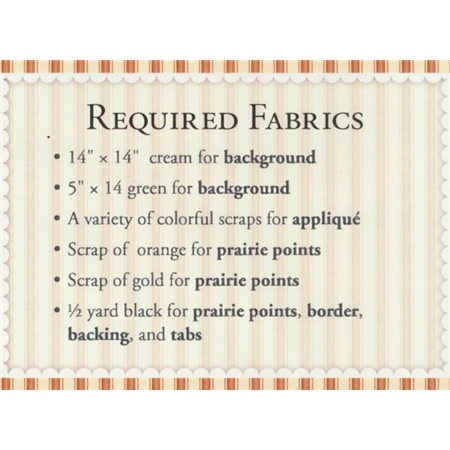 This 12 1/2' x 20 1/2" wall hanging pattern features simple appliqué and fancy prairie points making this a half day project! 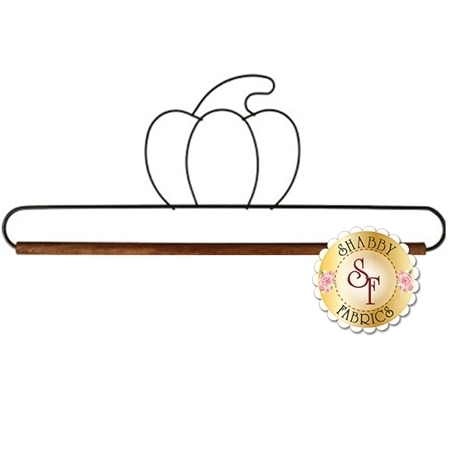 The wall hanging looks especially adorable when hung from our pumpkin wire hanger (shown below). 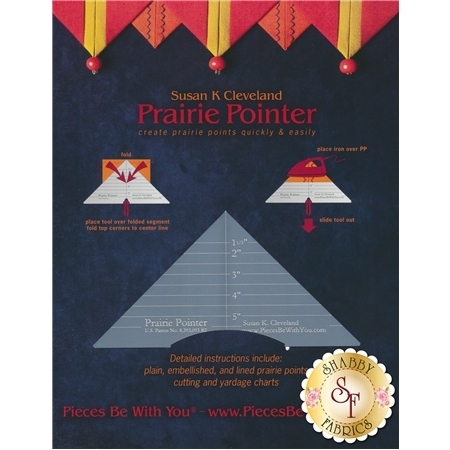 Choose the Prairie pointer to make decorative and lined prairie points quick, easy and fun!